Available wattages: 75W, 100W, 150W. 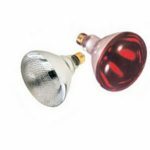 This shatter resistant lamp replaces both BR38 and BR40 styles and ensures that everything possible has been done to help prevent product contamination and personal injury. 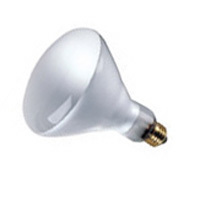 Our clear safety coating retains glass fragments in the event of lamp breakage. Our Safety Coating meets all food service and food handling application requirements and complies with Heath Department mandates. 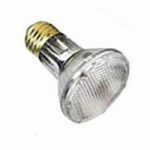 Specify the beam type as flood or spot when ordering.The 150W lamps are special order items and requires a minimum 10 lamp order and will ship within 2-3 weeks. Common uses include: homes, schools,resorts hotels and the food service industry. Facilities managers and electrical distributers value our ability to deliver a quality product at a competitive price. 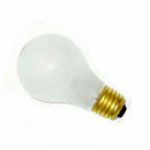 With over 30 years in the business we can typically supply you with any specialty lamp or LED you require.